We are selling our 595 Lexion combine. We are replacing it with another Lexion 780. The 595 has done well for us. We ran it with a 45 foot MacDon head in soybeans and 16 row 30 inch head in corn. 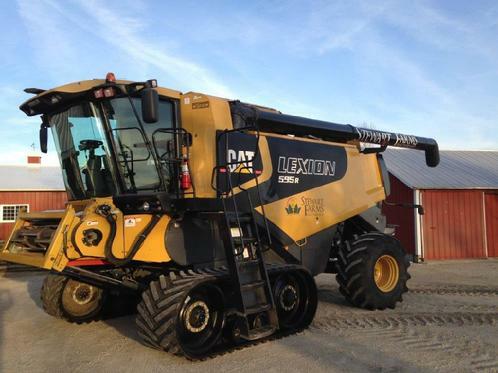 It is able to keep up with our Lexion 780 in both corn and soybeans, handling over 5,000 bushels per hour in corn. Below is a list of some of the equipment on the 595 as well as some pictures of the machine. Please contact us if you are interested in this machine. Video from our 2015 harvest with Lexion 595R running with Lexion 780.